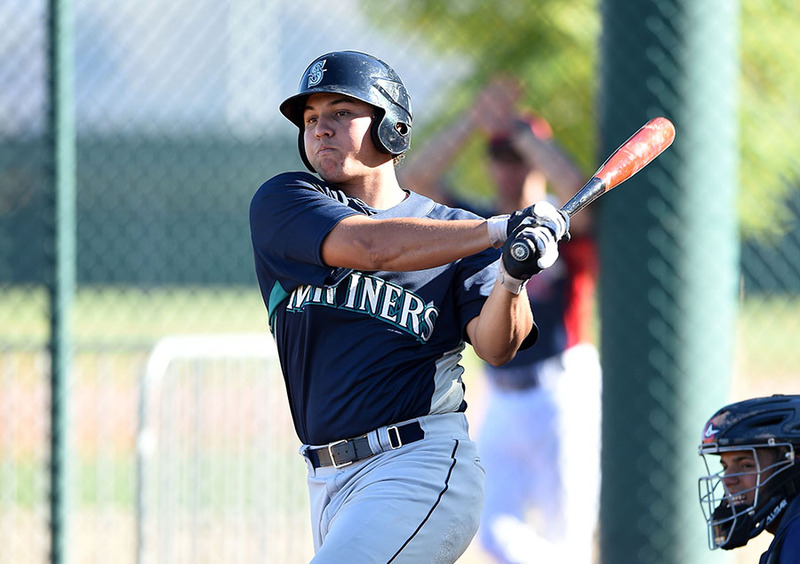 Top Seattle Mariners prospect Alex Jackson will start the 2015 season with the Clinton LumberKings. Jackson plays right field. He was primarily a catcher in high school, but Seattle moved him exclusively to the outfield after drafting him. He batted .280 with 2 HR, 16 RBI, 9 BB and 24 strikeouts in 23 rookie-level games last year before turning 19 in December. The LumberKings have one other top-30 Mariners prospect on their roster. Third baseman Joe DeCarlo, 21, is ranked No. 18 by Baseball America and No. 30 by MLB.com. 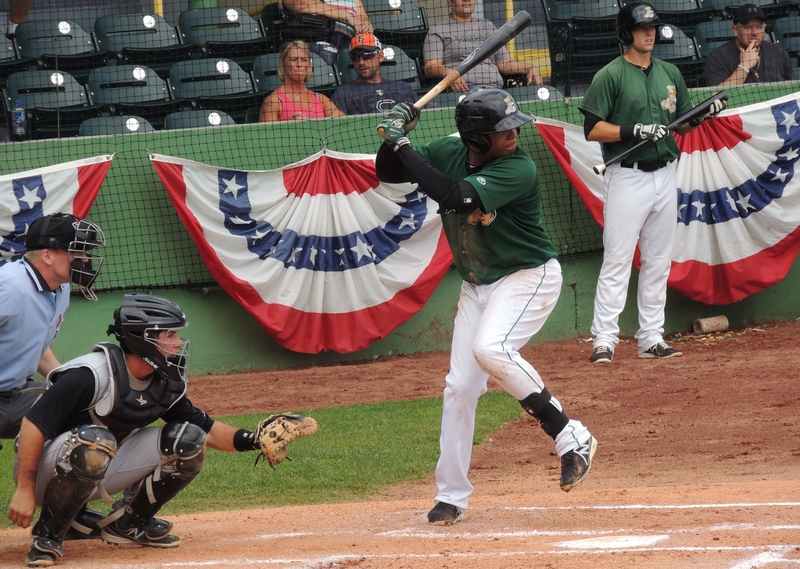 When he was healthy, DeCarlo spent most of the 2014 season with Clinton, batting .246 with 5 HR, 42 RBI, 36 BB and 84 strikeouts in 80 games. That line is deceiving, however, as DeCarlo’s stats before and after his June thumb injury are as different as night and day. He was batting .200 before the injury (caused by a hit-by-pitch), but went on a .349 tear in the 25 games he played after returning from rehab. Three other position players who are returning to Clinton are expected to be regular starters: outfielder Chantz Mack (.282 BA, 8 HR, 50 RBI in 73 games with the 2014 team), infielder Martin Peguero (.263 BA, 2 HR, 24 RBI in 80 games with the 2014 team; .232 BA, 0 HR, 24 RBI in 53 games with the 2013 team), and middle infielder Nelson Ward (.232 BA in 18 games with the 2014 team). Clinton’s starting rotation likely will include a pair of 2014 draft picks, RHP Lukas Schiraldi (son of former MLB pitcher Calvin Schiradi) and LHP Pat Peterson, and two international free agents, RHP Daniel Missaki and RHP Jeffeson Medina.